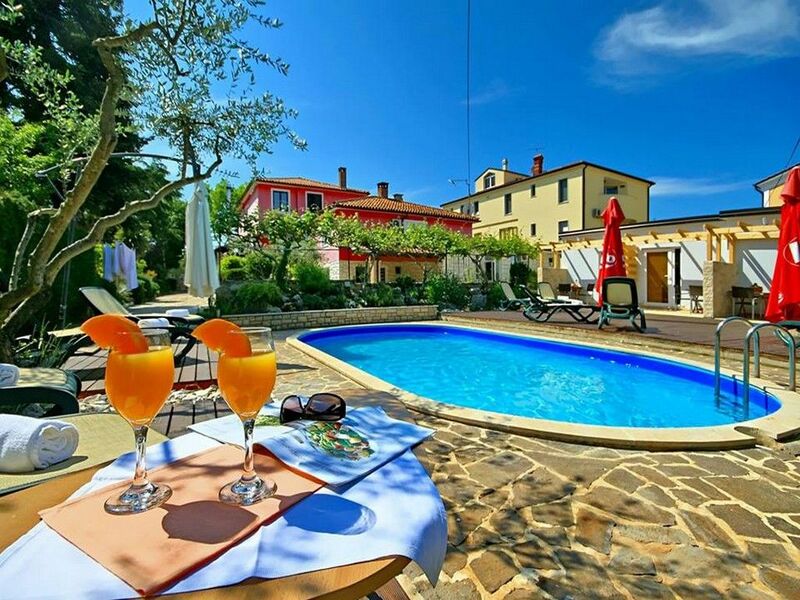 Apartment Marlera is an air-cooled accommodation situated in Ližnjan, 500 metres from the sea, and it provides a back yard with grill amenities and a children’s playground. The apartment presents 2 bedrooms, a living room with a sofa bed, a TV, fully equipped kitchen, and a toilet equipped with a shower. Adventures in the surrounding area include biking, horse riding and fishing. Reduced rates to a wellness centre are provided to visitors at Apartment Marlera. 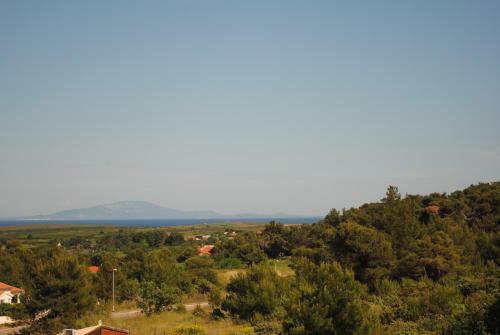 Apartment Seaside ~0,1 km, Liznjan price per day from € 70 Apartment Coastal is an air conditioned self-catering accommodation situated in Ližnjan just 850 metres from the sea and providing gratis wireless internet access and a furnished balcony viewing the seashore. 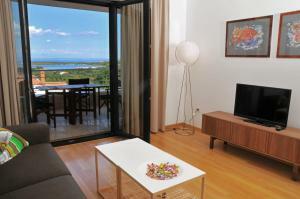 At Apartment Seaside, visitors can enjoy a seating area with a satellite channel TV as well as a toilet with a shower. There is a well-equipped kitchen with a dishwashing machine and an oven. A washing machine is also available. 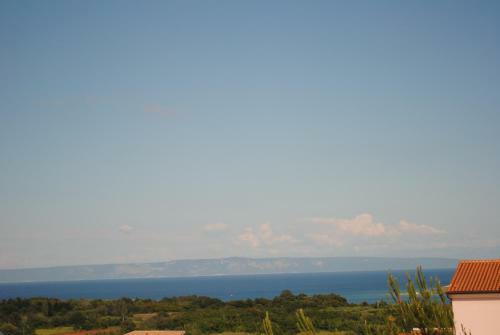 Apartment Marlera ~0.1 km, Liznjan Apartment Marlera is an air-cooled accommodation situated in Ližnjan, 500 metres from the sea, and it provides a back yard with grill amenities and a children’s playground. The apartment presents 2 bedrooms, a living room with a sofa bed, a TV, fully equipped kitchen, and a toilet equipped with a shower. Adventures in the surrounding area include biking, horse riding and fishing. Reduced rates to a wellness centre are provided to visitors at Apartment Marlera. Medulin ( ~ 2.2 km ): 926+ apartments, 133+ villas, 18+ hotels. Premantura ( ~ 4.9 km ): 219+ apartments, 26+ villas, 6+ hotels. Banjole ( ~ 7.6 km ): 283+ apartments. Vinkuran ( ~ 7.9 km ): 268+ apartments. Pula ( ~ 10.4 km ): 1152+ apartments, 125+ villas, 35+ hotels. Beach Bijeca, Medulin ~ 2,5 km from Apartment Marlera Sandy beach: ideal for families, recommended for young people, with caffe bar. Excellent choice of watersports. Beach Marlera, Liznjan ~ 2,8 km from Apartment Marlera Gravel beach: ideal for families. Excellent choice of watersports. Beach Munte, Premantura ~ 3,8 km from Apartment Marlera Gravel beach. Beach Pomer ~ 4,7 km from Apartment Marlera Gravel beach: ideal for families, with restaurant, with caffe bar. Excellent choice of watersports. Beach Stupice, Premantura ~ 5,3 km from Apartment Marlera Gravel beach: recommended for young people, with restaurant, with caffe bar. Excellent choice of watersports.